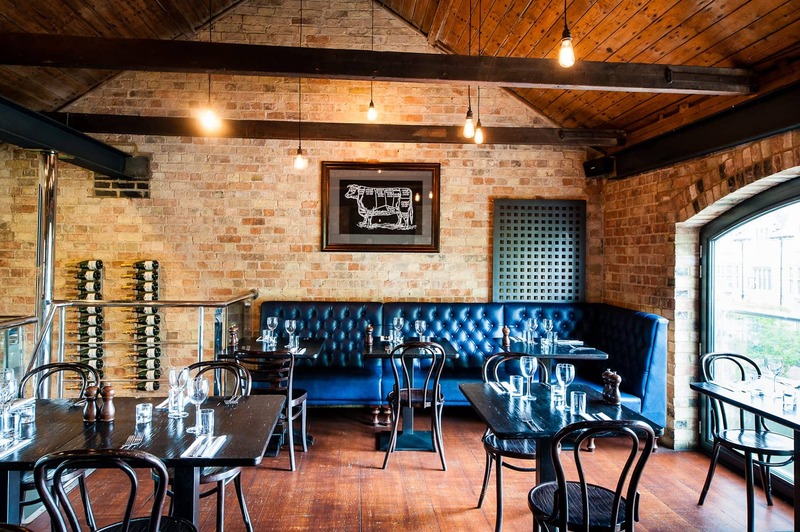 Situated on the Quayside in a lovely 18th century bonded warehouse overlooking the river Cam. We serve only the most tender, full flavoured steak, using the finest prime beef. Our steaks are dry aged for a minimum of 28 days and all our meats are traceable and sustainable. We also serve grilled fish, classic burgers, chargrilled chicken and vegetarian options. To finish we have a wide range of tempting, delicious dessert cocktails, and dishes such as Chocolate Brownies, Crème Brûlée, Tiramisu and a selection of ice creams. Call to reserve your table on 01223 30 70 30 or book online. We pride ourselves on the range of high-quality wines on offer which vary from crisp, fresh whites to rich, spicy reds – not forgetting the varied selection of champagne. Our team is on hand to help you select the perfect accompaniment to your meal. Our cocktails are made from premium spirits using only the finest ingredients. Our passionate mixologists serve both classic cocktails and also from our specially created River Bar list. To help you decide and find your perfect drink, our cocktail flavour map may be of service. The restaurant and bar have two separate areas that can be hired for semi-private or exclusive use, whether you are looking for a celebratory dinner, wedding reception or corporate event. We offer flexible set menu choices for formal dining and more informal hot and cold canapés, market stall style buffet stations adding theatre to your event matched with a fantastic range of beers, cocktails and wine. Our Event Manager is on hand to assist you in planning your next event. Call us on 01223 30 70 30. For those wishing to do a lazy tour of Cambridge most University Colleges can be viewed from the Roof Terrace. Before dinner why not enjoy a cocktail, glass of champagne or a jug of Pimm’s lounging on our sofas, relaxing, as the world passes by. In the early evening, the Roof Terrace becomes the most romantic spot in the city. Watch the sunset whilst enjoying a champagne cocktail, or a gin and tonic. Need More Information About River Bar Steakhouse & Grill?